Pest infestations are no laughing matter. Between termites, cockroaches, and the occasional family of rats, a household suffering from a pest infestation is understandably stressed, upset and keen to see the problem addressed professionally. When dealing with a pest control specialist, they’ll want to know they’re in safe hands. That’s why running the right software for your pest control business so important. If you’ve any experience dealing with infestations, you’ll know that pest control requires more trust and workflow efficiency than plenty of other businesses. After all, your customers are handing their entire home over to you, which means mistakes are going to cost you a lot more time and money. And with the entire industry projected to make $13.68 billion in revenue in 2019, getting it right is more important than ever. Fortunately, there are a number of helpful business softwares that can make running your pest control business a breeze. 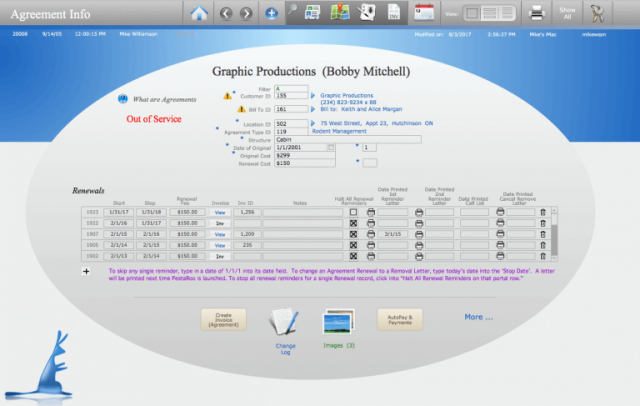 Choosing the right pest control business software is far from obvious at first. That’s why we’ve rounded up the best ones to save you a little time. Take a look at some of the pest control business softwares below and don’t forget to get a quote for your own company. Which provider is best for you and your business? This depends on the scale of your operation and the particular needs of your team. The smartest move you can make is to get a price quote from multiple providers – that way, you can receive cost estimates that are bespoke to your business, and choose the service that appeals the most. As one of the most popular field service management softwares on the market, it stands to reason that HouseCall Pro would be great at helping you run your pest control business. This all-in-one platform can help you with scheduling, dispatching, invoicing, customer service, payment processing, and even marketing. 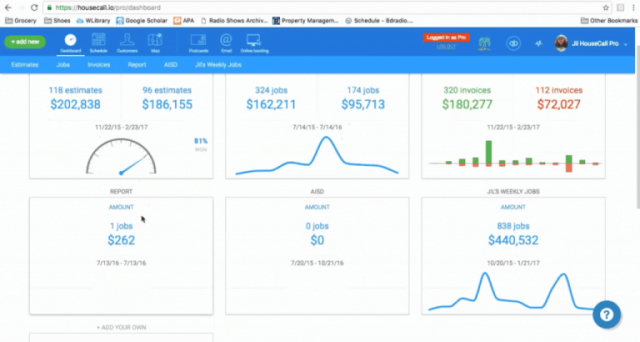 HouseCall Pro does suffer from a lack of customization options in certain situations. However, in the event that the easy-to-use platform isn’t working to your specific needs, HouseCall Pro has a vast customer support team, available 24/7, that will help you solve the problem in a flash. Plus, with a number of mobile options, you’ll be able to manage your pest control business on-the-go with ease. Simply put, HouseCall Pro is popular for good reason. Field service software companies that service a wide range of industries can be great. But, if you want to choose a tried-and-tested company that focuses exclusively on pest control, PestaRoo is the a great choice. In addition to features such as dispatch and fleet management, you’ll also be able to bill and invoice customers easily, and even keep track of inventory. PestaRoo comes with mobile access as well, so you won’t have to be in the office to manage your team out in the field. PestaRoo is available on most operating systems, although multiple reviews have complained about its compatibility with Windows. Also, because it’s a smaller operation, PestaRoo’s customer support options are minimal – but, the team gets the job done when you need them to. Plus, PestaRoo is easily one of the more affordable software options on this list, so you might want to evaluate your needs before making a pricier choice. ServSuite by Service Pro is dedicated to making your pest control business easier to run. It has smart features such as route optimization, payment management, and marketing services. Even better, ServSuite comes with thorough analytic tools so that you know what’s working and, more importantly, what’s not. Plus, with easy add-on modules for commissions, collections, and credit card processing, you can pick and choose exactly what you need out of the platform. Pest control is a serious business which requires serious customer support. Fortunately, ServSuite by Service Pro comes with a customer support team that is there for you 24 hours a day, 7 days a week. Whether you’re a thriving big business looking to organize your work processes, or a small company trying to get an edge over your competitors, a good pest control business software can make all the difference. That’s where GorillaDesk comes in handy. With GorillaDesk, you’ll be able to keep current customers happy and bring in new business, too thanks to its variety of features. 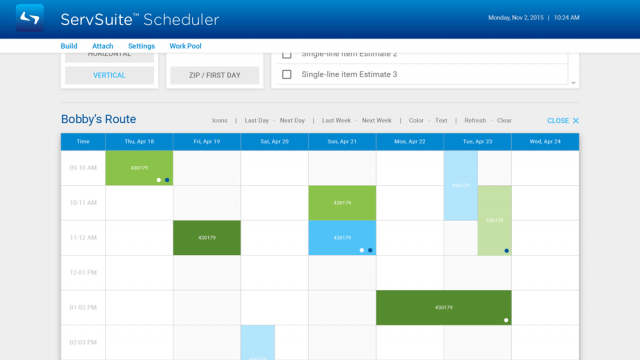 These include dispatching team members, scheduling jobs, and sending out invoices to your customers. There’s also a mobile app for users, but reviews have said it’s quite limited compared to the overall platform. Fortunately, if you’re having an issue getting everything you need out of the platform, GorillaDesk has a top-rated customer support team that will make sure you’re as happy as your customers are. In a business like pest control, the devil is in the details. Customers, employees, and even managers need everything to go smoothly, otherwise the customer and the business lose out. Getting all those details taken care of, however, can take a lot of time, which is why automation is so important in a pest control business software. Fortunately, PestRoutes provides exactly that. 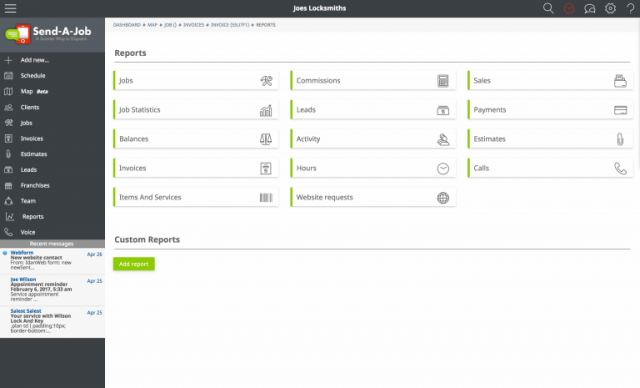 Between automated notifications, billing, invoices, and routes, you’ll be able to save time and money. While its customer support options are sparse compared to other softwares run by larger companies, the usability is simple, comprehensive, and just makes sense. Plus, PestRoutes offers completely paperless options, so you can go green while you’re helping your company make some more green. The key to a smooth-running pest control business is managing work functions effectively. 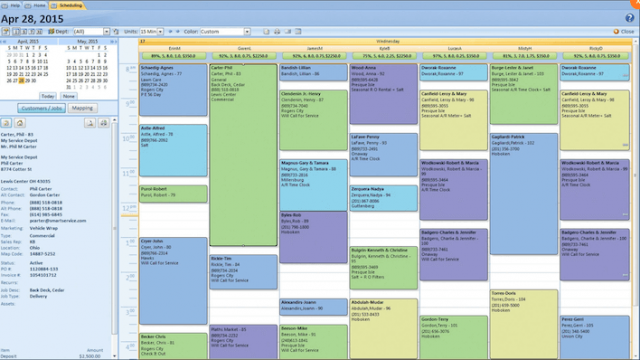 With Smart Service, you’ll be able to manage scheduling, billing, dispatching, customer management, work orders, routing, and pretty much anything else you might need to do on the job. Their mobile-optimized, paperless platform will allow you to keep tabs on your pest control employees while expediting a vast array of work functions. In addition to all these pest control business software features, Smart Service acts as a direct add-on in QuickBooks, which will make work processes even easier. The functionality is far from perfect, as many reviewers have pointed out, but their customer service team is online and always ready to listen to your concerns. Communication is integral in any business, particularly when it comes to pest control. Fortunately, Send A Job is the pest control business software that provides you with all the means to communication with everyone that’s a part of your business. From clients to team members, you’ll be able to monitor, manage, and improve every aspect of your growing business. Send A Job also let’s you automate a wide range work functions, from scheduling to calendar management, and the simplicity of the platform means that pretty much anyone will be able to handle it. Plus, depending on how many users you need, Send A Job is quite affordable compared to the competition. When it comes to pest control business software, finding one that can do everything is always the goal. PestPac by WorkWave, while a bit more expensive than other softwares, has a fully comprehensive platform filled to the brim with features to help you run your business right. This end-to-end software will make it easier than ever to track technicians, materials, and overall productivity, all while automating basic work functions. 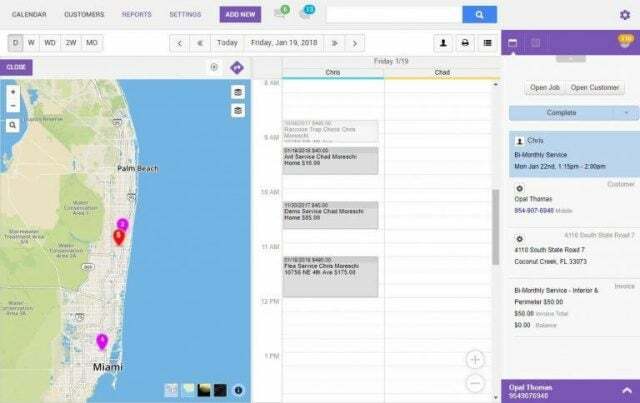 In addition to the basics of any pest control business software, PestPac provides in-depth analytics so you’ll be able to optimize every aspect of your business with actionable data. Plus, with 30 years of industry experience, this software is built for pest control professional by pest control professionals. 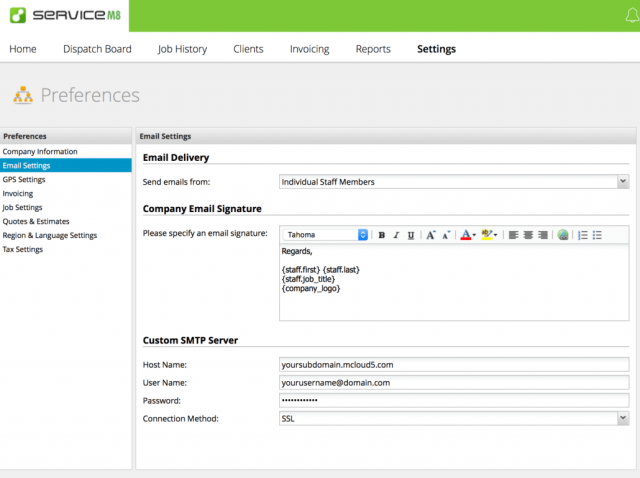 While the company is on the smaller side, ServiceM8 is anything but second rate. It allows users to manage estimates, scheduling, invoicing, maintenance schedules, safety reports, and customer support all from one single platform. Automation will save you time and money, as you’ll be able to send invoices seamlessly to Quickbooks Online or Xero. And if it’s not working for some reason, their 24/7 customer service team will be there to help you figure it out. ServiceM8 is only of the most affordable pest control business softwares on the list, with monthly costs as low was $29. And if you have trouble setting it up, they offer training and expert assistance to get it taken care of. ServiceM8 is mobile optimized as well, but only for Apple devices, so be sure to avoid it if you’re an Android person. There’s no denying that running a pest control business is hard. But with Jobber, you’ll be able to quote, schedule, invoice, and, most importantly, get paid on the job, all from a single platform. 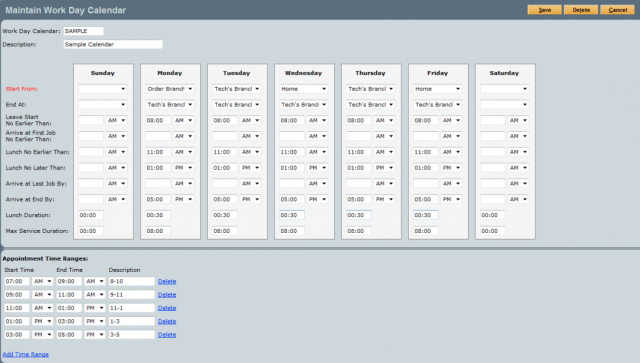 Users have reports that Jobber saves them nearly seven hours per week with its automation and comprehensive features. Jobber is easy for managers and employees alike, so everyone is getting all the information they need to do the job right the first time. Additionally, the platform provides users with thorough tracking features that can help you focus on how your technicians are doing out in the field, how your customers feel about the jobs getting done, and what you can do to make everyone happier and more productive. The only real way to know which pest control business software is right for you is to get a quote today. 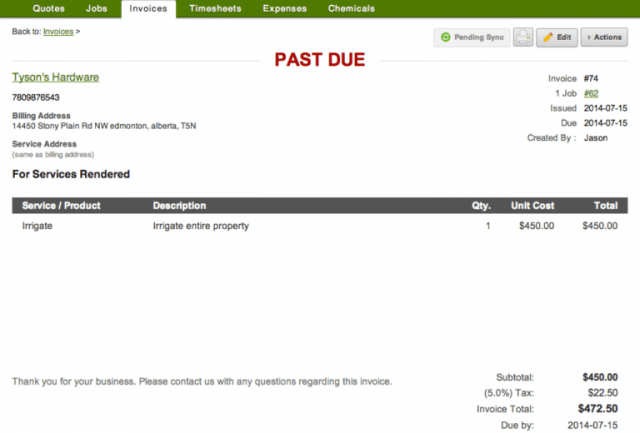 You’ll be able to find out exactly how much you’ll be paying to simplify your pest control business. Once you’ve done that, you can make the best decision when it comes to the future of your company. Use Tech.Co's free tool to compare Field Service Software prices. Find the best deal to help you improve your business operations. The post Best Pest Control Business Software appeared first on TechCo. 8 Benefits of What is a sales funnel and exactly how It is easy to Make Complete Utilization of It. Your site’s purpose is recognized by the tag above it, so choose it carefully. The tag for your personal site, at the top of the browser window, is a big factor in how people visit your site. Using a bad or confusing tag could make potential clients remove when they probably have produced a purchase. To entice targeted traffic to simply click your ads, work with a small image by using a connect to your item’s description or sales page. Use matching text from the articles and put it in the beginning and complete. It doesn’t appear to be an ad. Internet marketing surpasses the net. You could attend conferences, trade shows along with other events for example. Create a community around your brand, and people will identify along with your products and attend the events that you go. Knowing the competitors is essential in online marketing. Level of competition is a constant issue, regardless of niche. Place ads for your business on high-traffic sites. While you will see some cost involved, it will give you noticed. Take the time to learn which websites have high traffic, since you need your advertisement to be noticed by more customers, as an alternative to fewer. Attempt to minimize the application of AJAX and Flash so consumers are not overwhelmed or bombarded using them on the site. As the added interactivity might look nice, it can do nothing to optimize your site for search engines. When you have to use Flash, be sparing in your use and include navigation links, keywords and also other relevant text on pages that rely heavily on Flash. Should you not redesign your website frequently, at the very least include a blog that you update frequently. One thing this is that content is always king on the web. Any google search out there eats up new info, so using a blog ensures that your company is always updated. A blog lets you create fresh content consistently. If you have an online business you have to give your very best to advertise it. There is no such story about a business which simply got lucky in their success. Coke was not “lucky” whenever they invented their famous soft drink. No chance! It took a large amount of skilled marketing to transform it into a best-seller. If you are proficient at creating an Ezine, it might be an on-going effective marketing technique where you could make a following with the people who sign up to it. A great way to begin to build relations is as simple as adding personality for your Ezine with the aid of pictures of your respective staff. You may also include details about your life or fun office anecdotes. Retain the reader curious by getting an attractive subject line that will grab their attention. You ought to have a much better understanding of why Website marketing is important to your business. There are a variety of methods to go about this. There’s an enormous volume of information available about the benefits of this. Follow the tips in the following paragraphs to work with Website marketing to your great advantage..
What I Desire Nearly everybody Knew About Augusta SEO. The buzz of Online marketing to earn additional money has grown greatly recently. It is essential that you become knowledgeable about Website marketing first in order to reach out to your target market. This short article should be able to allow you to set out to earn some extra money with Online marketing. Consider which methods you would like to employ on the website. For example, you could find that among the best ways to carry out marketing your website won’t cost you an individual penny. But unless you’re first spending some time to essentially ponder over it, you might wind up paying money for nothing. There are lots of different methods for getting a lot of people to see your blog. It is essential here is that you’re wanting to let the creativity flow and unique. Create a fantastic website and concentrate on SEO content when you have your website finished. This will be the 1st, and one of the most important, steps for anyone building a web business. Focus to detail is vital when creating your website. The time and effort that you put in making your web site look great and work smoothly are going to pay off, since you will have less work to do down the road. To make more money, you need more subscribers. A website split test happens to be an excellent approach to gauge what approaches works most effectively to draw in new company. This type of test splits the readers into two groups, with each group views another version of any webpage. Then, it is possible to infer which version helped get the most subscribers. Regular blogging can definitely infuse your online marketing with success. Consistent blogging provides yet an additional way to keep the customers informed. By adding your blog to your web page you might be also increasing its size, which has one side effect of growing your pursuit engine ranking. When advertising your company on the net, be very mindful of your quality and content of your respective information. Your articles must be informative, unique and accurate. You desire people who visit your web site to gain information about your organization so you want the data there to become updated regularly. Cultivating an important customer base today is heavily reliant on your presence in social websites networks. Developing a Facebook page along with a Twitter will get you more clients. Another excellent way to formulate a conversation with the customers is by Twitter. Now you have an increased understanding about what needs to be carried out Website marketing you might curently have goals in mind. Set a good amount of long term and temporary goals. In case you are always learning and meeting your goals, you might have Internet marketing success before a long time..